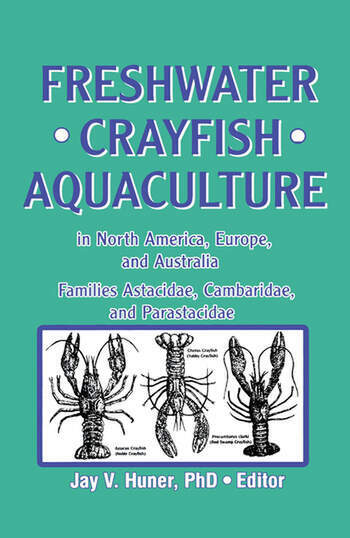 Freshwater Crayfish Aquaculture in North America, Europe, and Australia is the first text to summarize the methods of culture for the eight most important crayfish species in the world. Methods developed to culture crayfishes around the world differ significantly, and this book enables readers to develop workable strategies for cultivating different crayfish species in specific environments. Each of the the three major crayfish industries are well-represented in this new book and special attention is given to the specific needs and accomplishments of each area, which is beneficial to producers in other countries. For example, while hatching technology has been important in Australia and Europe, it hasn?t yet been applied to any degree in North America. At the same time, North America has developed a major crayfish processing industry. Disease problems have resulted in more emphasis on that subject in Europe and yet it is vital to all involved in crayfish aquaculture. Businessmen, farmers, scientists, laymen, or students need to be exposed to the methods and problems associated with crayfish production in different parts of the world if they are to be successful in any crayfish project, whether it be research- or profit-oriented. Freshwater Crayfish Aquaculture in North America, Europe, and Australia is intended to provide all readers with one source of information on the subject of freshwater crayfish aquaculture. Professional staff, advanced students, and extension personnel will find the entire text beneficial. Those in corporate organizations and the agriculture field, especially decisionmakersin operations, will find the methods, markets, and financial considerations in this book a helpful guide.